When friends came visiting this summer, they asked me about the island’s most beautiful beaches. As a matter of fact, I had never covered such an obvious topic on Palmallorcastyle. But Alice Taylor, blogger at ezebee.com, has a few wonderful suggestions that I like to share with you. Located in Pollença, Formentor beach is a kilometer and a half long. It is a beach with crystalline water perfect for children as it is very shallow. The beach is surrounded by mountains, and “Cap de Formentor”, 230 meters high, is a mandatory stop on the way to the beach. The views from here are incomparable. Access is easy and there’s paid parking and services. 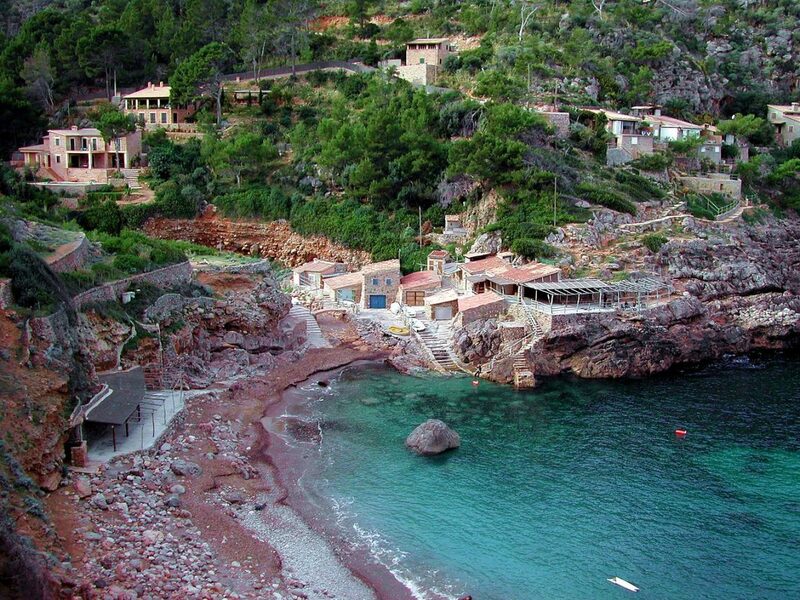 You find this rocky cove in the Serra de Tramuntana in the municipality of Deià. Nothing else will give you this charm and magic that has inspired poets and painters for decades. 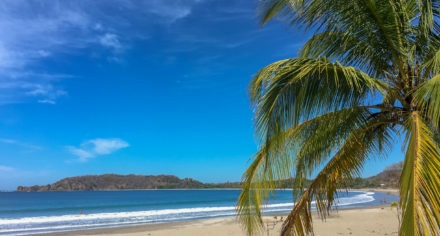 It is a cove with large rounded stones, surrounded by huge mountains, with a snack bar at good prices and a seafood restaurant for those with more generous pockets. It has easy access for cars, with paid parking. Forget loungers and hammocks! If anything characterizes this cove it is its wild character. 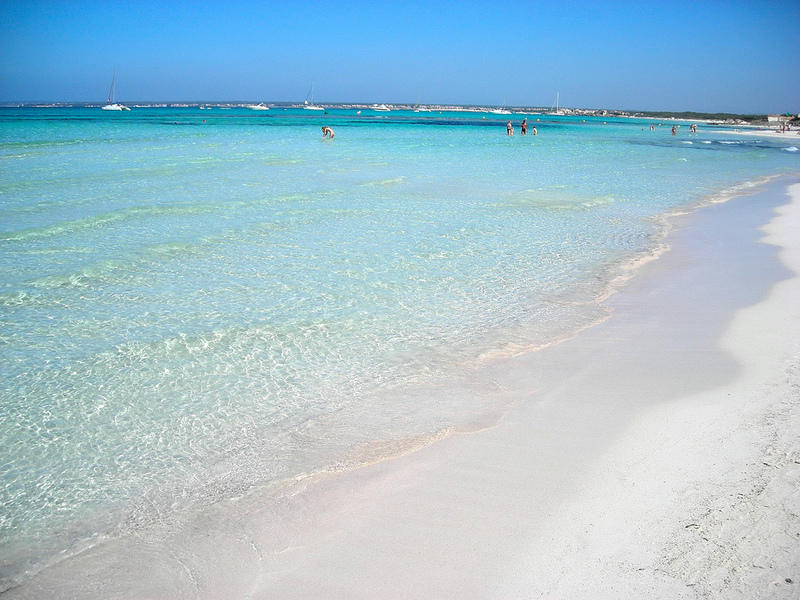 Some of the most beautiful waters in Mallorca are in Es Calo des Moro near Santanyí. Water, sand, and its location make it a small cove paradise. To get there you have to park in the houses of Sa Comuna, walk half a kilometer and down a small cliff. It’s simple, but remember to take good walking shoes. In the cove there are no services. Our advice: Get there early! At noon it can get really crowded. Nearby is also located s’Almunia Beach, another one of our favorites. 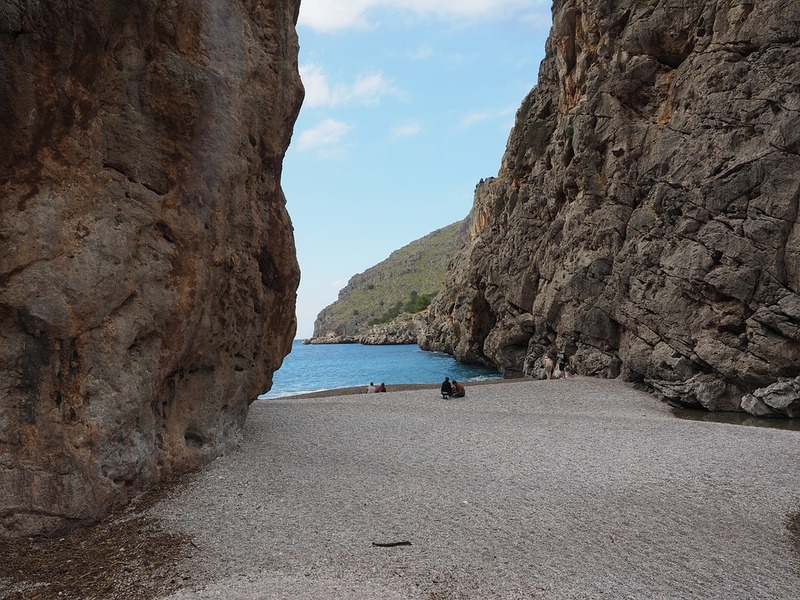 In 2003 the Torrent de Pareis was declared Natural Monument. The trip down the torrent must be done in the dry season, between May and October. The stream flows into the sea of Cala de Sa Calobra. You can also access by car or bus. 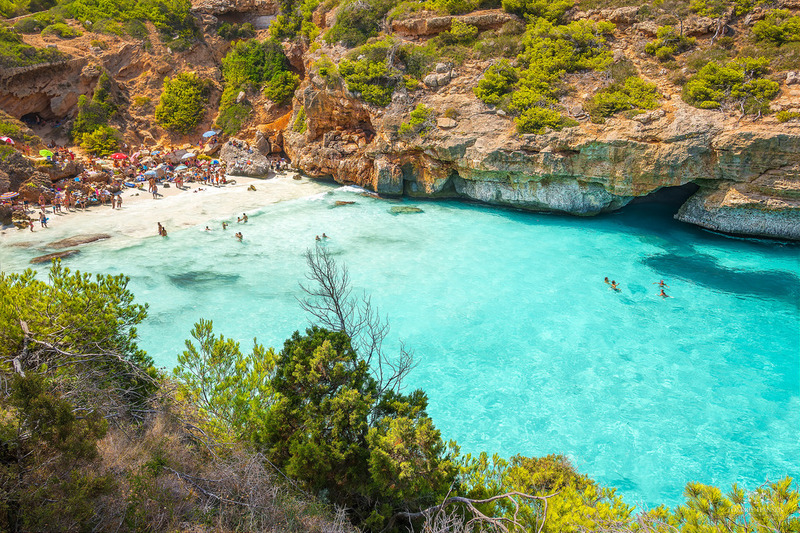 But really, the environment makes it one of the most magical beaches of Mallorca. Many consider Sa Rapita as “the Spanish Caribbean”. Located in the municipality of Campos, the small town Sa Rapita is the summer resort of many locals from Palma, Campos and Llucmajor. The beach has easy access, paid parking, and several bars. Having so many services could scare those seeking unspoilt and secluded places, but once they visit the beach they will surely return. The long beach, turquoise waters, white sand and environmentally protected dunes make it the perfect beach for families with young children. One of the main attractions in Mallorca are its white sandy beaches and crystal clear water which is comparable to the Caribbean. Throughout the Mallorcan coast there are many places worth a visit – from the endless beaches of fine sand in the south to the rocky coves surrounded by mountains and cliffs in the Serra de Tramuntana. Calm beaches are more complicated to find and only suitable for hikers or those who don’t mind walking a bit. Dicing just 5 beaches in Mallorca is difficult, so we did not choose the “best” but the “paradise” beaches. Of course, in summer, if you want to enjoy them as they deserve, we recommend that you arrive as early in the morning as possible. You will see that it’s well worth while. You can learn more about Mallorca and doing business on the island on ezebee.com, a free platform that allows to sell products and offer services in an international marketplace.